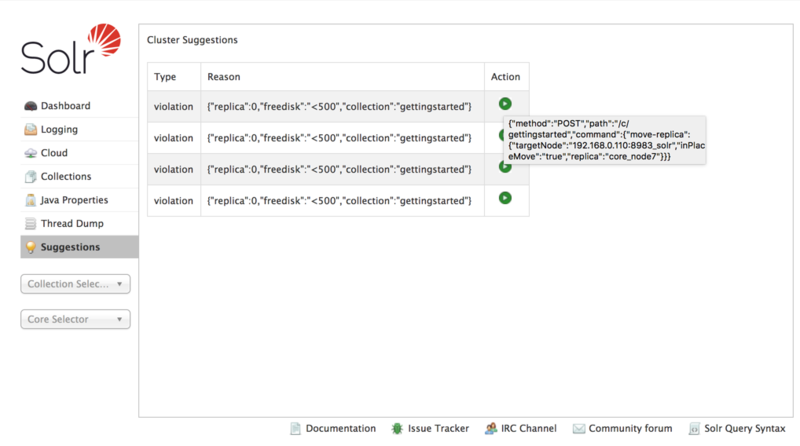 The Suggestions screen shows violations to an autoscaling policy that exist in the system, and allows you to take action to correct the violations. 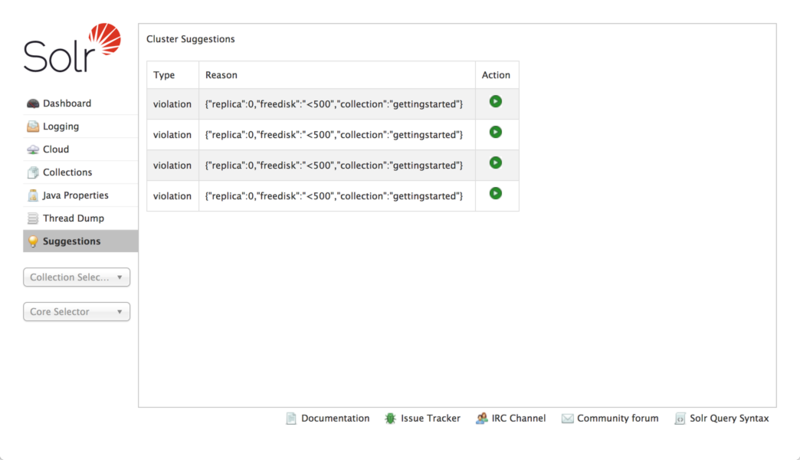 This screen is a visual representation of the output of the Suggestions API. A line is shown for each violation. In this case, we have defined a policy where no replica can exist on a node that has less than 500Gb of available disk space. In this example, 4 replicas in our sample cluster violates this rule. In this case, the recommendation is to issue a MOVEREPLICA command to move this replica to a node with more available disk space. 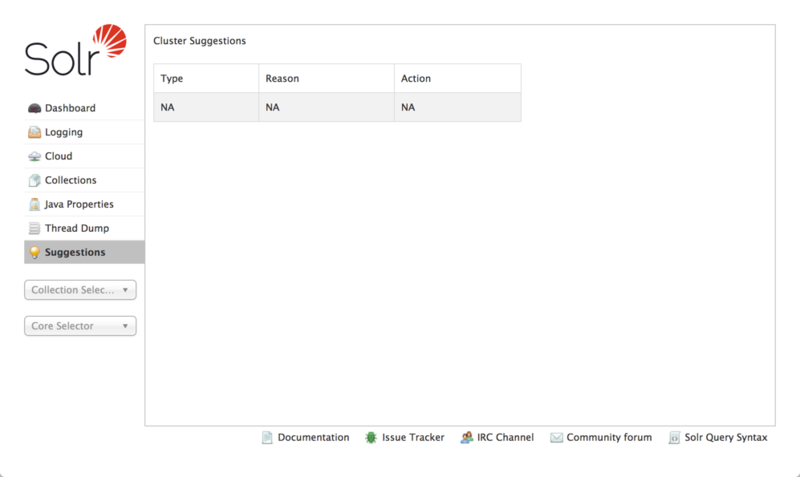 Since autoscaling features are only available in SolrCloud mode, this screen will only appear when running Solr in SolrCloud mode.